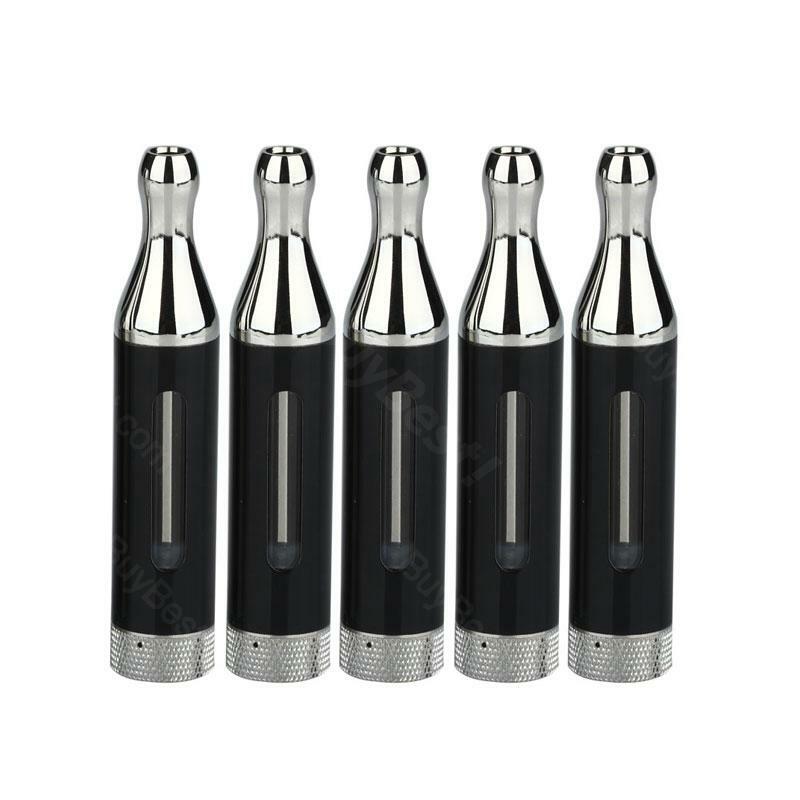 It comes with Pyrex glass tank tube, Low heating place, eGo thread, Fixed metal nozzle, Replaceable atomizer head. 5pc SMOK Pyrex Aro Bottom Coil Glass Atomizer - 2.5ml: Pyrex glass tank tube, Low heating place, eGo thread, Fixed metal nozzle, Replaceable atomizer head. • Pyrex glass tube with a 2-window metal cover. • 2.5ml capacity and 1.8ohm coil. Single Coil. • eGo thread, it compatible with eGo/eGo-T/eGo-C/eGo-C Twist battery and eVic. SMOK Aro Tank Atomizer is a 2.5ml atomizer with 5 piece per pack atomizer with a 510 drip tip and a 1.5ohm resistance dual coil. It is very healthy and last long.